This entry was posted on August 6, 2015 by Tinteán Editorial Team/EMcK, in Interview, News, Of Literary Interest, Popular Culture, publishing and tagged Academic publishing in Ireland, Four Courts Press, Irish History. Irish Culture, publishing. Bookmark the permalink. An interview with Anthony Tierney at Four Courts Press. At Four Courts Press we all love what we do, that is, we all love books! We try to show this through the quality of the books we publish. We set extremely high publishing standards for ourselves using only high quality typesetters, jacket designers, and printers to ensure that each and every book that has the Four Courts Press colophon achieves those standards. We take an active role in the commissioning, production, marketing and selling of the books that we publish – there is an enormous sense of pride when each new book appears. Michael Adams worked extremely hard for almost forty years to create the reputation for Four Courts Press as ‘Ireland’s Premium Academic Publishing House’. We intend to make sure that this reputation is upheld and enhanced. The growth of the publishing industry in Ireland, the expansion of the University sector in Ireland, the numerous advances in technologies that benefit publishers, have all had a direct impact on the direction(s) ‘Four Courts’ has taken since its founding in 1970. More recently the World Wide recession, cutbacks faced by Libraries and Universities, the personal choices of Michael Adams, and the Managing Director, Martin Healy and our editors, Martin Fanning, Michael Potterton and myself, have also had an impact of the direction(s) Four Courts has taken in the last decade or so. In 1970 Four Courts Press was a small publishing house with an output of 6 to 8 books a year. In the forty-five years since then we have remained a small company in terms of employees (5 full time members of staff) but our output is now in the region of 40-50 new titles each year. Where does the title of the Press come from? The name was decided upon as representative of Ireland and amongst Irish historians living abroad that was clearly Irish. It evokes a very distinctive building, of major historical significance, which played a pivotal role in some of the events of Irish history. To non-Irish people living outside Ireland, it was meant to sound as if it had some significance, even if they had no idea what it was or meant! It also avoided the word ‘Irish’ in the title that might have been seen to indicate a regional Press when it sought to be something more international. Do you have a niche which marks Four Courts Press out from other academic publishers in Irish Studies? All publishing houses feel the same way about their book lists (both those in print and out of print) and would stand proudly over the quality of their work. We at Four Courts Press are no different and we take immense pride in the books that we publish. Combined with this is the enormous pride we take in the relationships we forge with the authors and editors of these books as we jointly go through the whole process of bringing a manuscript to book form. We find huge satisfaction in the creation of these relationships and I think that this is shown in the quality of the work that comes out from the Press. What kind of books does Four Courts Press publish? At Four Courts Press we believe we have a list that offers something for everyone. 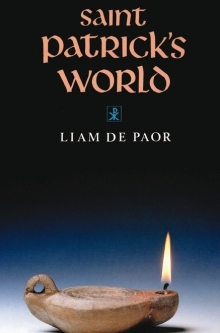 For all those readers interested in everything from Archaeology to Philosophy and Theology and everything in between, we have books that would be suitable for them as well as for the general reader and those who specialise in a particular subject. 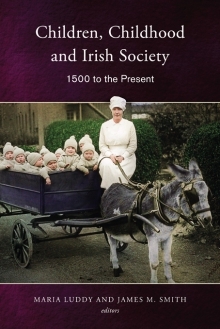 We publish short 64 page works of local history and massive 600 page tomes on Irish, British and European Medieval and Celtic Studies. We also publish books on every era of history and we have a list of over 2,300 authors hailing from Ireland, the UK, all over Europe, America, Canada, Australia and from a multitude of other regions around the World. We truly believe that we have a list that has something for everybody. What directions do you see FCP going in in the future? The past three years were lean times for all publishers, not just in Ireland but throughout the UK, America and Australia. Now there are some positive signs in the economy and we are seeing people and libraries and Universities buy books again. The key to success is I believe to keep standards high and if the books are good enough they will sell. Tell me of you and your own history with Four Courts Press? I joined Four Courts Press in 2001. I studied English, History and Politics in The National University of Ireland Galway and followed by a Masters in English Literature and Publishing. On completion of the MA Course I applied to every publishing House in Ireland and some in the UK and in America. The Publishing Industry is extremely difficult to get in to and were not many openings at the time. Luckily I was fortunate to get through a long but pleasant interview process, that involved a grilling on my attitudes towards every aspect of publishing imaginable. The main lesson I learned at that interview was that I had an awful lot to learn about the publishing industry. I still do. What drew you into publishing, rather than say, academe or teaching? Or any other job you might have contemplated? To be perfectly honest, I would have to say that it was just drifting into something and luck that brought me to publishing. After I qualified, I really did not have any idea where I wanted to go from there. I have always been fascinated by the Law and a Masters in Legal Studies crossed my mind. I also had an offer to do an MA in Community Development but that did interest me at the time. However, a friend persuaded me to apply for a newly founded course in NUI, Galway which was an MA in Publishing and I was accepted. What have been your chief learnings about publishing since joining Four Courts Press? At Four Courts Press I was extremely lucky to be taken under the wing of the company’s founder, Michael Adams (1937–2009) who took the time to teach me about every aspect of the publishing industry and to really ingrain in me how much of a collaborative endeavour publishing is. Michael guided me through the whole gamut of the publishing industry, and he thought me about commissioning books, editing manuscripts, dealing with authors, and typesetters, and jacket designers, and Sales Reps. and bookshops and so much more. It was a wonderfully comprehensive education delivered by a man who was a truly wonderful boss and a gifted publisher. What aspects of the business of editing do you enjoy most? Find most challenging? Are you a specialist in any particular area? The most enjoyable aspects of the job are first and foremost its collaborative nature. It really feels like we are all a part of a rock solid team here at Four Courts Press (and by extension I do also include all our typesetters and designers and our Sales Rep. in that team). Secondly I still get an enormous buzz seeing a new book when it first arrives from the printers. It is also really special to see the face of a first time author when you hand them the finished product. The most challenging bits about the job are (i) the closure of so many bookshops in Ireland and around the world combined with some savage cuts in the budgets of Universities and libraries. This has meant that the past three years were lean times for all publishers, not just in Ireland but throughout the UK, America and Australia. (ii) It is never nice rejecting manuscripts as you are fully aware of how much work goes in to each book but unfortunately it is simply not possible to publish everything that comes in to us. Which titles are you most proud of at a personal level? I think that every person who works in Publishing will always have a favourite title/s that they worked on and the reasons for these will vary. I have some books that are very special to me because of the friendships I have made through working on them and I have other books I love because of how beautiful I think the final published book looked when it came back from the printers. My favourite Four Courts Press books that I worked on are: The Ormond Lordship in Co. Kilkenny, 1515-1642 and War, Politics and the Irish of Leinster, 1556-1606, because of the fact that I worked so closely with Michael Adams on these two books and I really felt like I cut my publishing teeth on them. 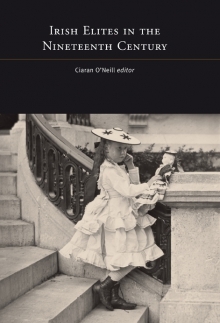 My favourite Four Courts Press book however is a not yet published work that is due out in September. It will quite simply be a stunning book. It is called Wilhelmina Geddes: Life and Work and our senior editor, Martin Fanning, has done exquisite work on it. Any Australian authors? Any words for them? 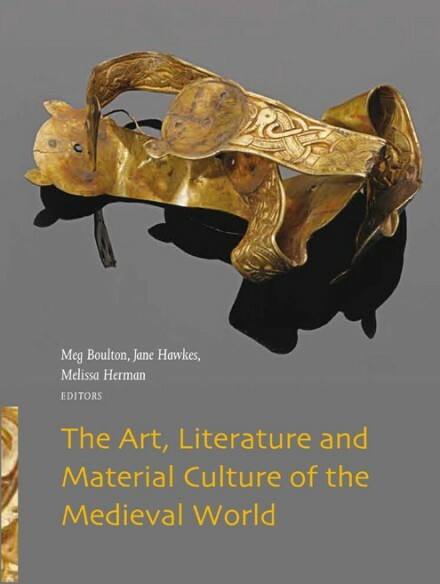 We have published books by a number of Australian authors: Jonathan Wooding, from the University of Sydney, Dianne Hall (Victoria University, Melbourne) and Daniel Leach (University of Melbourne) and most recently, Julianna Grigg from Monash University, to name but a few. I would urge Australian authors to keep sending us in their proposals if they believe they have a good book that would sit well on our list. Are you consciously creating books for a global market? Does this entail interesting compromises in terms of pitching the text for readers outside Ireland? As I mentioned previously, Four Courts Press genuinely believes that we have a list that offers something for everyone, in a multitude of disciplines and a wide range of subjects. We publish in the English Language and we distribute throughout America, North America and Australia and thus one could say that we are definitely creating books for a global market. Any words for your Australian buyers? Four Courts Press has always had a wonderful relationship with Australia. We have some very active Australian customers and we ship copies of all of our titles to Australia every week. So many Universities and Colleges in Australia have wonderful Celtic History Departments who order our books and use them on undergraduate and postgraduate courses and this all helps to spread our name throughout Australia. 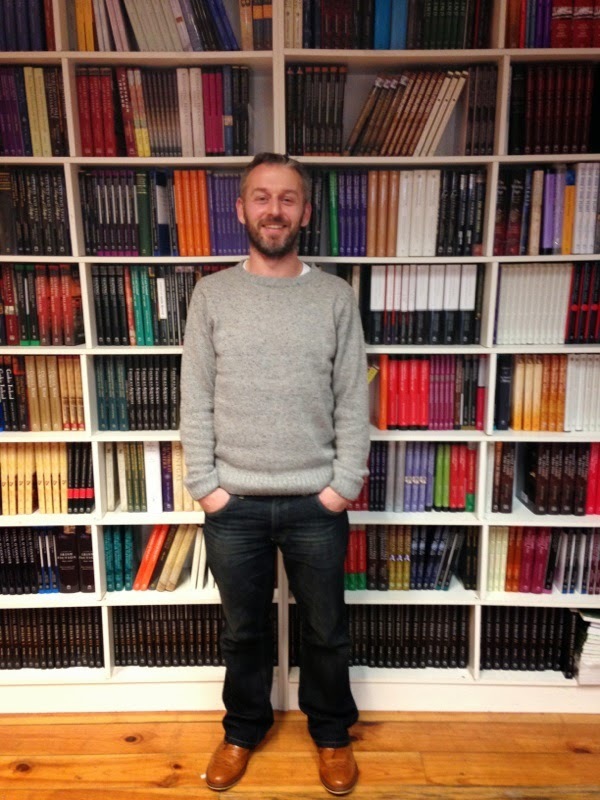 Anthony Tierney is an editor at Four Courts Press. Educated at National University of Ireland – Galway, he has lived in Dublin for the past 15 years.